About the product: CulaLuva is aiming at providing the best replacement charger for your device. It's compatible with Apple Macbook Pro OEM device for your better use. COMPATIBILITY: Compatible with a wide range of MacBooks MacBook Pro (13-inch before mid 2012): A1181,A1184,A1185,A1278,A1280,A1330,A1342,A1344,MB990,MB991, MC118,MC700,MC724,MC374,MC375,MD101,MD102,MD313,MD314 MacBook Air (11-inch and 13-inch before 2011): A1237,A1269,A1270,A1304,A1369,A1370 Specification: -Power: 60W -Tip: "L" Style -Input :AC100~240V1.5A 50~60Hz -Output : DC16.5V 3.65A -Cable Length: 70 inch -Plug Type: US Plug Intelligent Design: - LED lighting system that shines amber when notebook is charging and green when fully charged! Two years Warranty: We Provide a 2-years warranty with our MacBook Pro Charger. Our products come with superior built & safety features ensure a reliable charging to stay with you in the long run. 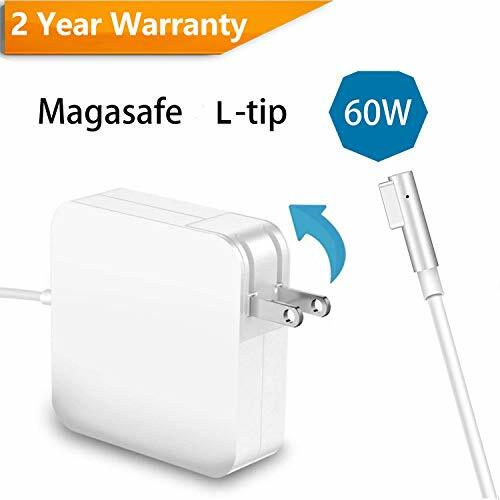 ✅Magsafe L-Tip - L-Tip Magnetic DC Connector helps guide the plug into the system for a quick and secure connection. An amber light lets you know that your notebook is charging, while a green light tells you that you have full charge. If you have any questions about this product by CulaLuva, contact us by completing and submitting the form below. If you are looking for a specif part number, please include it with your message.